Learn how to read an orienteering map with these exercises that show how features on the ground are represented on the map. 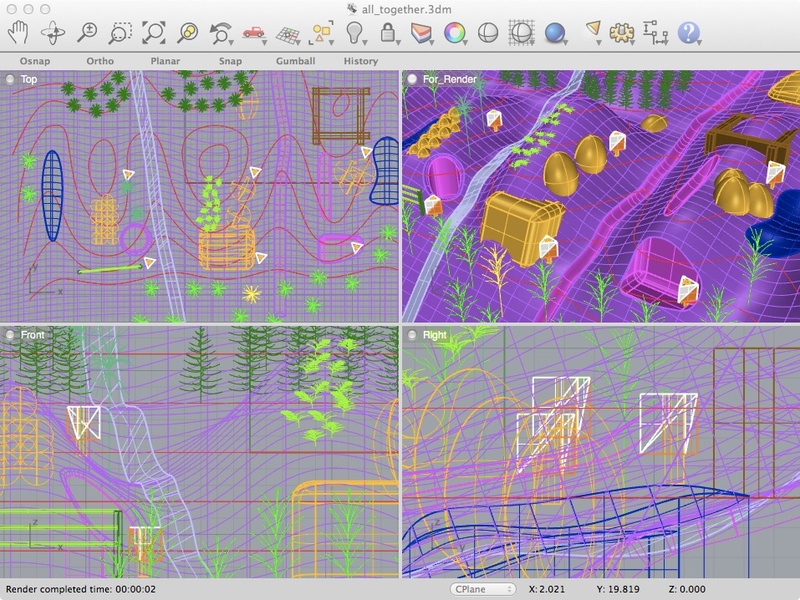 In response to demand for educational use and adaptations of Map Training v1, the v2 material is freely available – with attribution – for any purpose, including derivative works (see source below). This set of exercises is organised by the colours used on the map. Each exercise is a single-page PDF. Please contact me or leave a comment if you adapt the exercises; I’ll list them here. See also Adaptations and Translations of v1. Orienteering Map Training (v2) by David Colls is licensed under a Creative Commons Attribution 3.0 Unported License. The source is available as SVG documents (native Inkscape format) and rendered terrain images (JPEG). Most browsers will display these SVG files, or you can download to your computer. The SVG files link to the JPEG images. You can also get all documents and images in a single ZIP file (34MB). 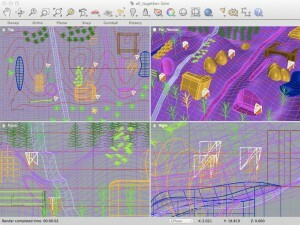 The 3D models used to render the terrain images are available as a single ZIP file (53MB). 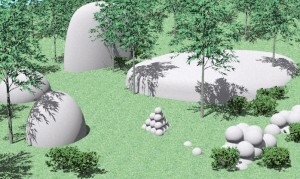 The models were created in Rhino and rendered with Flamingo. Note that Rhino and Flamingo are not free software. You may be able to open and manipulate the models in other packages, but it will likely be challenging to achieve the same look and feel (especially with regards to the vegetation and sunlit appearance). See the readme.txt file in the ZIP file for more. Thank You very much Dave for this really fantastic work ! Thankyou for putting time and effort into some good looking documents to present in new comers.